The Official Tribe of South Africa is a place for you to gather and share your knowledge, tips, trips and events all having to do with a place you love. Join a community of avid travelers and experts who share your passion for South Africa, and become a part of the conversation. Hi Eva, I would be happy to help you with this trip. Please contact me at lisa@hoppetravel.com or 414.258.8715. Thank you. 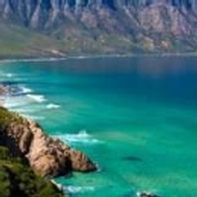 Hi Eva: I have been to South Africa and can assist you with your planning, reservations and any questions you might have! Please feel free to call me at 617-527-4799 or e-mail me at kash@baryiatravel.com and we can discuss your interest and requirements. Thank you and I look forward to hearing from you soon! Take care. Hi Eva, I have traveled to South Africa many times and know the destination very well. You can contact me either by calling 1-800 421 5643 Ext 6500 or e-mail me at hardeeps@sitatours.com. Hi, Eva. I am a South Africa Specialist (they call it Fundi) and have been to South Africa many times - in fact will be there again at the end of August this year. I would be very happy to help with your trip. Please contact me at jpworldtravel@sbcglobal.net or phone at 800 929-0256. I will look forward to hearing from your soon. Hello Eva, I'm a Professional Safari Planner having arranged over 300 custom safaris across Africa. I've traveled numerous times to South Africa and the surrounding safari countries, thus I can provide you with firsthand experience and advice. My trips are crafted to your specific desires and budget whether it be moderate or luxury -- I emphasize good value for your budget. I am located in Chicago and can be reached at (1)(630) 393-9533, Michael@Sapphire-travel.com, www.sapphire-travel.com. I encourage you to have a 'no obligation' conversation with me even if you have begun conversing with someone else. No two safari planners recommend the same trip, you should hear my suggestions.. I would like to know what vaccines I will need for travel to Cape Town and Johannesburg. I will not be visiting Victoria Falls. Thank you. Yellow fever vaccines if you have traveled to countries in South America and Africa prior to your visit to South Africa( see the list of countries on the CDC website) You would only require anti malaria tablets if you are visiting Kruger. There is no malaria risk in Johannesburg and Cape Town. The CDC recommends Hepatitis A and Thyphoid Fever vaccinations. Must prescriptions be in the original container? Must vitamins be in labeled container? Hi Melody, Yes prescriptions must be marked container with prescriptions and vitamins should be in original container. hope this helps! Hi, my name Is Dillon. My mom always wanted to see African Elephants and ride them. I was wondering how much would it coast to go to Addo Elephant National Park in Eastern Cape. Also were do I go for my mom to be able to ride an Elephant and whats the coast? Thanks I appreciate it. we are going to visit our granddaughter who is studying in cape town...can you advise hotels that are near the observatory area or are easy to get to and from there. Dear Judy, Please give me the dates, number of people, and approximate amount per night you would like to spend, and I'll be happy to help you. My e-mail address is diana@nastaritravel.com Thank you. I have a 100 ml tube of pure maple syrup and a 150 gr. jar of maple butter I want to take in my carry on luggage to our friends in Pretoria South Africa, also a souvenir 3 inch pocket knife with a 2 inch blade. Can I take these or not? Be first to respond. Post your reply below. Planning on traveling to southafrica with a group, about 4 people this coming december 2014. 3 americans and green card holder. What information would we need and where to go on from here? Brian, Please e-mail me diana@nastaritravel.com with all the information, and I will be happy to help you. Thank you. I'd like a trip to South Africa for 2 adults at end if September. Wed like to begin un Sun City to relax after long flight. Then to Pilanesberg Park for about 2 nights. From there to a nice beach area preferably where there are cafes, etc. From there to Cape Town. Im trying to use frequent flyer miles for airfare. If we can fly into one city and out if another then wed leave from Cape Town. If not well have to get back to Johanesburg. Wed like this trip to be around Wed also like to see penguins and whales while we're at the beach or in Cape Town. We don't have a kit of money. We need to keep this as low as possible.